Care about Madison Bus Rapid Transit (BRT)? 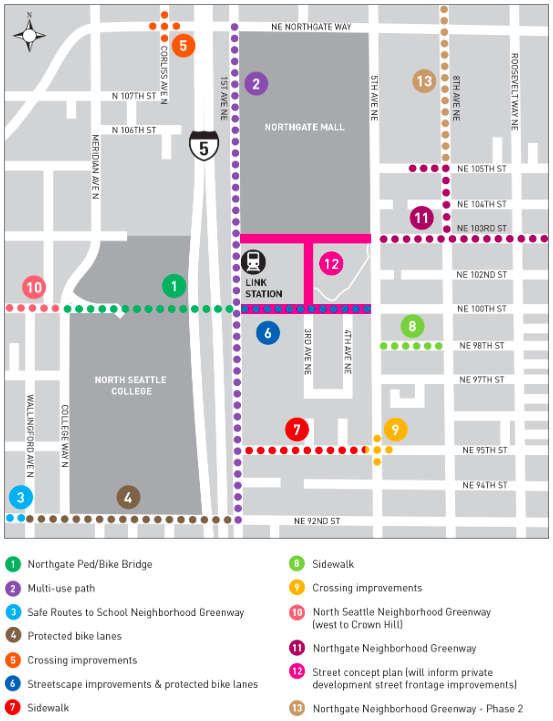 Here’s what to look for when you provide comments at the final Seattle Department of Transportation (SDOT) Open House on Tuesday August 9 (or on-line before August 16). Madison BRT is intended as a Complete Street. Complete Streets provide fair access to the street for all people, whatever their transit mode. That is one reason the City is poised to apply for grant funding to invest upwards of $120 Million along this 2.4-mile corridor. Another reason the Madison BRT project is at the top of stack for funding and redevelopment is that thousands of new places for people to work and live along the Madison corridor are under construction or in permitting now. When you are evaluating the Madison BRT plans, ask first if people of all ages and all abilities will easily be able to cross the street, walk or bike to transit, and enjoy the experience of walking, shopping, and socializing along East Madison Street. Madison is filled with young people starting families, retirees, people using major hospitals, amid a wealth of residential and commercial property. 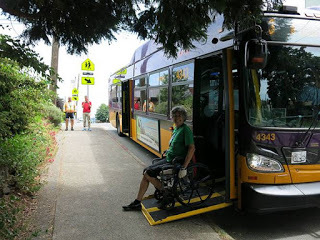 Several street safety advocacy groups, including local groups along the corridor – Central Seattle Greenways, Madison Park Greenways, and the transportation leaders of First Hill Improvement Association – have been closely following the Madison BRT project for several years. They shared their top five concerns about the current Madison BRT proposal. Crossing the street is a necessary part of taking the bus. People walking and biking need to be able to cross Madison directly and safely. The 30% designs for 24th Ave & Madison, 12th & Union & Madison don’t resolve the difficult street crossing challenges, in fact current designs may make crossing more dangerous. At center-island stations, crosswalks need to be positioned at the desire lines for people exiting the bus. Plan for people who bike. Design and fund access for people who want to bike in the Madison corridor. 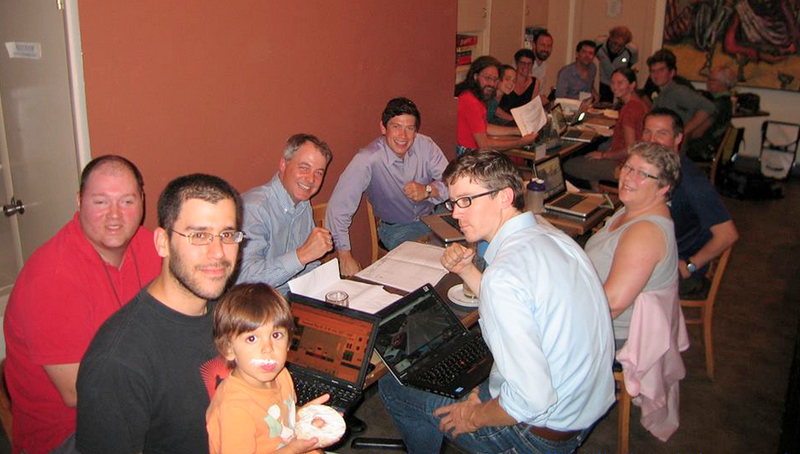 Community groups worked closely with the City for several years to identify the optimal “parallel” bicycle infrastructure that was intended to be funded as part of the project: this includes protected bike lanes on Union from 12th to 27th and greenways on 27th, 24th, Thomas, Denny, and University. 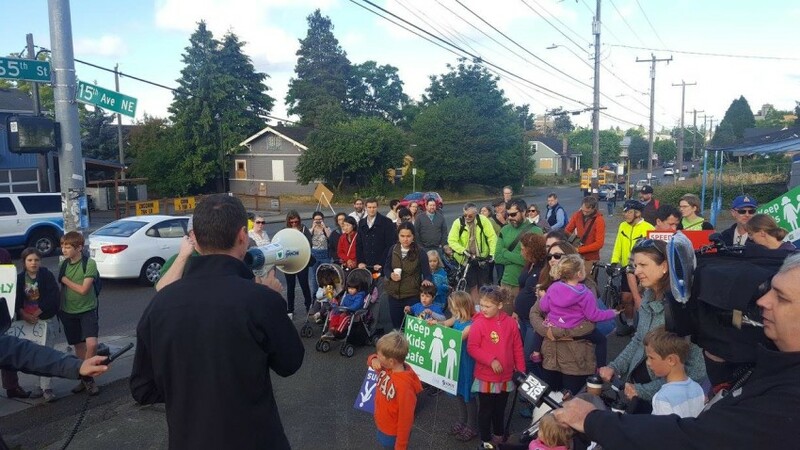 Creating safe and convenient bikeways to help people access residences and businesses on Madison isn’t just a nice idea, it’s necessary and promised Complete Streets mitigation given that SDOT is removing access to a street people depend on now. Work hard to keep the trees! Removing 23 trees on Madison between Broadway & 12th may ease the congestion on the sidewalk a little bit, but will make the pedestrian experience even bleaker. Plan for growth. The City needs to plan for long term sidewalk improvements as part of this project. This dense neighborhood will need wide, well-maintained sidewalks with excellent street furnishings. Make sure that intent is communicated in design plans written by the City for developers as they build along the Madison Corridor. 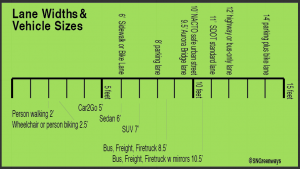 Study traffic along the Madison Corridor including left turn elimination, commercial loading, parking, peak I-5 access, and in particular ambulance & emergency vehicle access. Seattle voters recently approved the Move Seattle levy, which contains funding for a number of exciting transit projects. Seattle’s Department of Transportation is currently planning at least two of these projects; a Bus Rapid Transit (BRT) line running along E Madison St, and another BRT line running from Northgate to Downtown. Bicycles and transit go hand-in-hand, with bicycles (and bike share) helping with transit’s “last mile” problem. Transit also compliments biking, allowing people on bikes to increase their range, skip dangerous segments of roadway, bypass hills, or act as a backup option when they can’t or don’t want to ride. 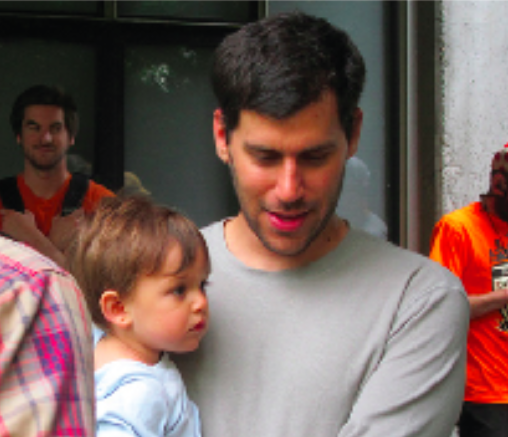 Unfortunately, our current public transit systems are failing families who want to bike. Even when bicycle facilities are integrated with transit, they are often designed for only certain types of bikes – non-standard bikes such as family/cargo bikes don’t fit. If we can design our BRT and other public transit systems to be truly family-friendly, not only do we allow families to reduce or completely eliminate car ownership, but we also create a transit system that works for all ages and abilities. In order for a BRT system to be truly family-friendly, families should be able to safely and comfortable walk or bike to stations. However, Seattle Neighborhood Greenways has already talked a lot about safe routes, so this will focus on BRT itself. Some of these things are more important than others, and people have different preferences, so I haven’t attempted to prioritize anything. This is simply my ideal, family-friendly BRT system. * High-frequency. Kids aren’t going to want to sit still for 30 mins while waiting for the bus, and when you have multiple kids (and a spouse), it’s pretty hard to check OneBusAway and time it right. Someone’s going to lose a shoe (or hide your keys), you’re going to leave the house and have to go back for someone’s favorite stuffed bear, or maybe everyone will be already outside and ready to go. Once you’re outside, there will be stops to look at a caterpillar, or wanting to go into a store, potty breaks, etc. You just can’t time public transit with kids. You need a bus or train that just comes regularly. Ideally, every 5 minutes. Without kids, I’m fine waiting 15 minutes while I read a book or check email. With kids, every minute is spent telling them to behave, trying to find something to keep them entertained, etc. * Safe. The bus stop needs to feel safe. This means good lighting, a good distance away from fast-moving cars, and clean (especially no broken glass, random liquids, garbage, etc). It also means that there’s nothing capable of being broken. For 1-3 year olds, parents will have to make sure they’re not going to fall or touch anything that will hurt them. For 3-6 year olds, parents will have to keep them from breaking/destroying things or venturing out into traffic. * Entertaining. Stops with things that keep kids (and adults) entertained are the best. Lane width helps to control speed on urban streets. People driving tend to slow when streets are narrow. The National Association of City Transportation Officials (NACTO) recommends a default of 10-foot lanes. 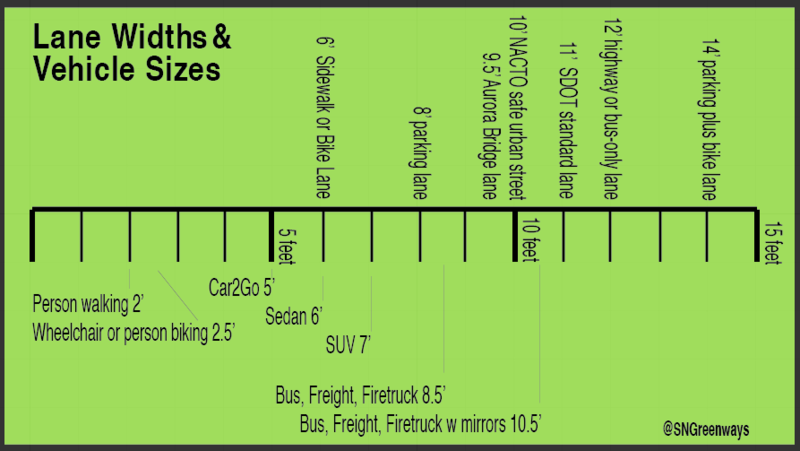 Seattle’s current standard is 11-foot lanes and 12-foot bus-only lanes. Many of our streets were laid out in a time when wider was always better — and ended up with dangerously wide lanes, dangerous because wide lanes encourage people to drive fast, and when cars go faster, collisions do more harm. Narrower lanes in urban areas are shown to result in less aggressive driving, and give drivers more ability to slow or stop their vehicles over a short distance to avoid collision. While tooling along city streets, unless you are a transportation engineer, you aren’t aware of street width. 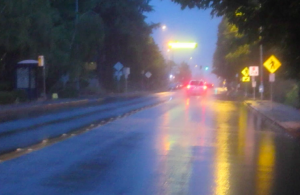 Seattle’s standard width for parked car lanes is eight feet wide, while adding a bike lane that avoids the “door zone” (the distance a car driver can accidentally fling open a door into the path of an oncoming person on a bike) requires a a 14-foot lane (parked car plus bike lane). With our elbows akimbo, we’re about two and a half feet riding a bike, taking up about as much space as people in wheelchairs. Both protected bike lanes and sidewalks require a minimum of six feet of street right-of-way to accommodate people riding and rolling respectively. Highways are a different case entirely when it comes to lane width. Lake City Greenways exemplifies the civic-mindedness and good transportation decisions local Seattle Neighborhood Greenways groups all over Seattle are becoming known for. In the past two years, Lake City Greenways has added a pocket park in the street right-of-way, worked with several UW classes on urban development ideas, helped Seattle Department of Transportation on road safety awareness on Lake City Way, worked closely on a new Safe Routes to School project to Olympic Hills Elementary, and of course advocated for the newly opened Lake City Greenway! Now they’ve even taken on the placement of Metro bus stops when they put people in danger when they cross the street. And they’ve won! Thanks to a couple of observant neighbors, I was alerted to the fact that people are running across LCW at 140th to access the Little Brook neighborhood and especially the new Array apartments on the west side. Many of them are people getting off northbound buses. The bus stop north of 137th is too far north, and to cross safely at the 137 crosswalk, people have to walk many yards south, cross the awful Erickson crossing and then wait a very long time to cross 137 crosswalk. That all evidently takes too much time for people to resist risking their lives to sprint across LCW instead. 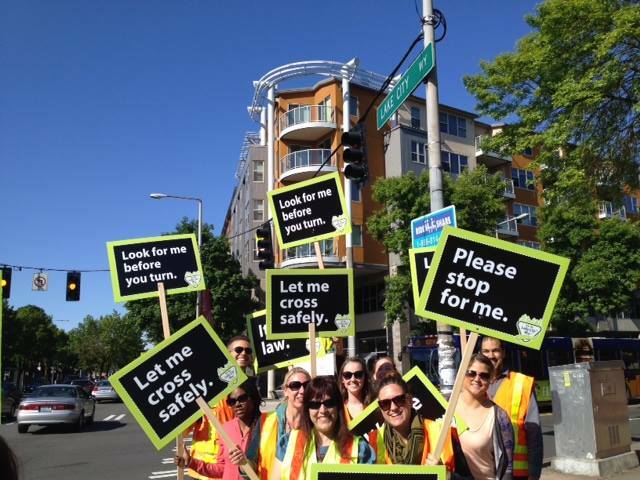 Hi Janine,Just wanted to let you know that SDOT has approved Metro’s request to relocate the stop to nearside 137th. Next Friday May 8, Metro will close the existing stop and place a temporary delineator at the new stop. SDOT will install permanent signage at the new stop as their work crew schedule allows.Thank you for your advocacy on this important issue. During our meeting we also discussed the possibilities of (1) putting another crosswalk on the north side and having a no-right-turn-on-red from Erickson (this is controversial because it could cause more cut-through behavior in north Cedar Park) and (2) changing the signal phase for southbound LCW traffic at least in off-peak hours so crossers don’t have to wait so infernally long at the 137th crosswalk. The newly placed Metro stop opens May 8, 2015. Thank you Lake City Greenways for your dedication and we wish you much success for safer streets in your neighborhood in the future!